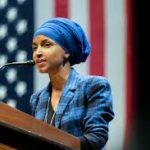 • Second, on January 28, 2019, Ilhan Omar tweeted her opposition to targeted sanctions against Venezuela’s despotic, disputed Maduro communist regime’s state-owned oil holdings, saying: “Trump’s new sanctions on Venezuela are nothing more than economic sabotage designed to force regime change by starving the very people we claim to be helping. We must lift these, & other sanctions impacting Venezuela’s poor, & support dialogue between the opposition & government.” Would Omar have opposed sanctions against South Africa intended to change the racist South African government! Sanctions against Venezuela are intended to free the Venezuelan people from a tyrannical communist oppressive regime. 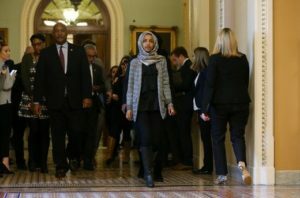 Rep. Omar has thus once again hypocritically falsely complained that targeted sanctions against the tyrannical Maduro regime’s financial interests hurt innocent people – while supporting antisemitic anti-Israel sanctions that really hurt innocent Jews and Israelis and Palestinians and Americans. 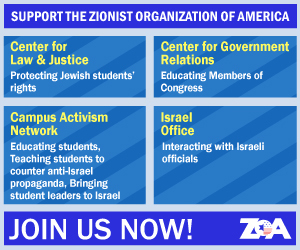 ZOA respectfully requests that ADL reconsider and retract its praise of antisemitic Israel-hating, BDS promoting, compassionate-to-ISIS-recruits Rep. Ilhan Omar.